How can I be safer in a parking lot? – Conflict Research Group, Intl. 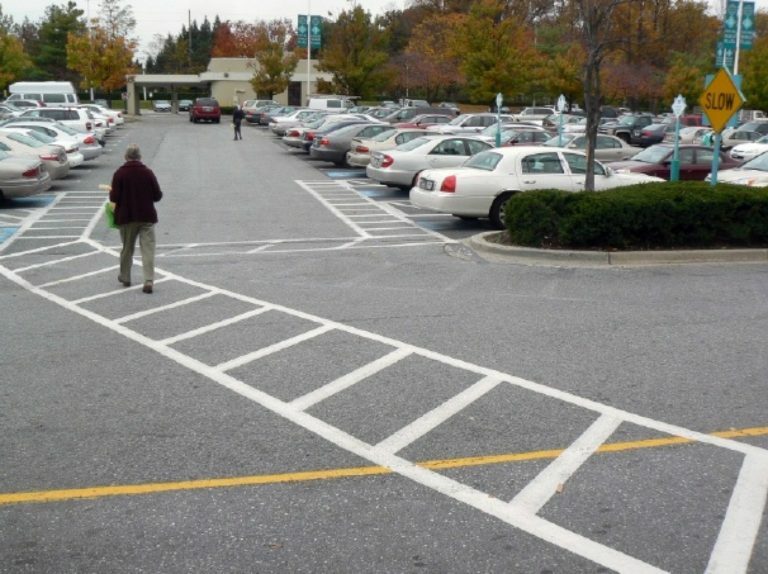 How can I be safer in a parking lot? At one time, I had five kids under the age of six years old. Sometimes it seemed I spent half my life getting them in and out of those darn seats (and the other half changing diapers…) My baby is nearly old enough to drive by himself now, so I guess the car-seat days are over until grandkids start coming along. But I have not forgotten how vulnerable it feels to be struggling with a car seat, face buried in the back seat and rear end poking out, while a stranger walks past in an otherwise deserted parking lot. Here are some things I learned to do in order to feel safer. Only take the essentials. If you can get away with leaving the diaper bag in the car, do it. There’s no such thing as traveling light with little kids, but the less “stuff” you have to deal with, the more your hands are free to take care of whatever else you need to take care of. Remember your priorities. Getting the kids buckled isn’t as important as getting out of a dicey situation. If you feel the parking lot is unsafe or feel threatened in any way, jam the kids into the car any which way, lock the doors, and go to someplace that is safe to finish up. You can buckle them up two blocks later and that is better than having to deal with an attack while buckling up. It is also better than getting in the habit of ignoring your instincts. Get organized before leaving. Focus outward while moving. Before you leave the building, take a moment to gather your wits and your belongings. Visualize getting into the car. If you’re holding the baby in one arm and the toddler in the other, how are you planning to open the car door? Maybe put the toddler down, or have an older child carry the baby, or whatever. If someone needs soothing, soothe them — or harden your heart if you must so you won’t get distracted trying to soothe them while walking to the car. Get all that squared away before you leave the building, so that when you walk out, you are able to focus outward on your surroundings rather than inward on your family. Pay attention earlier. Scan the parking lot before you leave the building. If anything in the lot looks unusual, watch for a minute before walking out the door. You’re less likely to get surprised by someone who “suddenly pops up” from behind the next car if you glanced at the entire lot and saw them before they went into hiding. Avoid multiple trips. Try to avoid taking two, three, four, fifteen trips back and forth to the house when you leave and come home. If you must: remember the baby is the last thing that goes into the car, and the first thing that comes out. And never, ever, ever leave your keys in the ignition or lying on the driver’s seat while a child is in the car. Remember it’s not forever. Little kids can help more, sooner, than most parents realize. Teach your older kids how to buckle the younger ones, or have them help load the groceries. Never ever do something for a kid she’s old enough to do for herself … and remember, things do change as the kids grow. Kids notice things adults don’t. Take advantage of this. Make a game for the older kids: “How many people in the parking lot?” or “What color shirts do you see?” — vary the game, but the idea is to get their bright little eyes helping you to notice your surroundings. Take lots of breaks. You got the kids to the car. When you arrive, take a break and look around the lot. Open the door. Take a break and look around the lot. Put baby into the seat, unbuckled. Place a hand on him, lift your head and look out the windows around the lot. Buckle him. Take a break, stand up, look around the lot. Get kid #2 into the car … you get the picture. Don’t be worried about looking like a freak, just get in the habit of looking around whenever there is a natural break in what you are doing.